The perfect Christmas gift for all car enthusiasts and exclusive automotive fans. 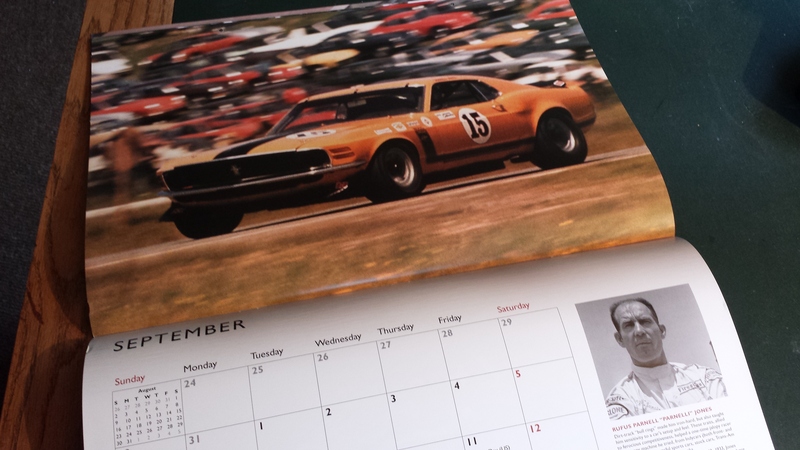 CarArtspot reviewed a couple of automotive calendars for you. Looking for the perfect Christmas gift for the car enthusiast or exclusive automotive fan this holiday season? Well, an exclusive car itself might be a little over budget. 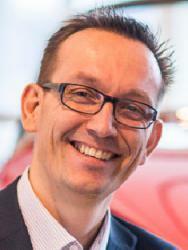 A model car might be an excellent choice - but which model should you pick? A book? Great idea but there are so many to choose from. How about something a bit more practical? Something your loved one could use daily, something which they will go back to again and again and again. Sound good? Then an automotive calendar might be just what you are looking for. While there is a wide selection of calendars with the traditional glossy photos, CarArtSpot looked into the more exclusive and unique items. 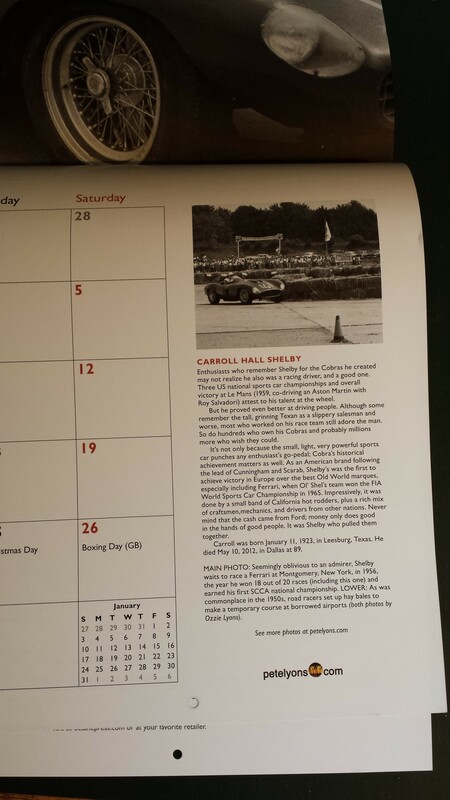 Octane Press recently issued a calendar named “Velocity Heroes of American Racing” featuring a selection of historical photos. These photos come from the archive of Pete Lyons and his father Ozzie Lyons and were been shot over several decades. 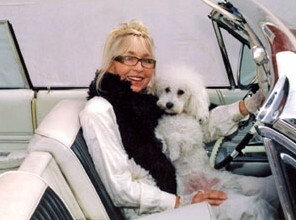 With each of the 12 photos comes information about the driver and the specifics of each car. One of these unique photos depicts Carroll Hall Shelby racing a Ferrari. These little facts make for a fun read at the start of each month. From the wide range of calendars issued by publisher Calvendo, we would like to highlight two. The first one bares the title “Dreams, Made of Chrome” and shows wonderful close-ups of the chrome details on classic cars. 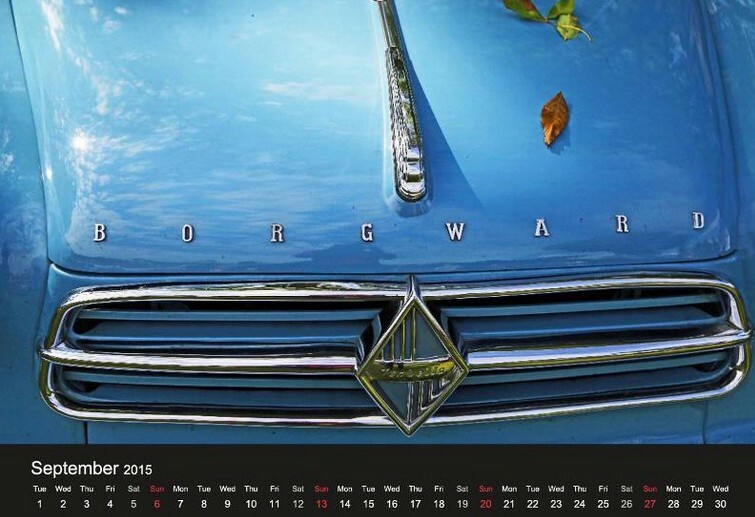 From the wheel trims of an MG to the hood of a Borgward, this calendar has it all. Some of the photos can appear stylized; though the majority are a great tribute to the designs of even the smallest parts of classic cars. Back to this calendar. 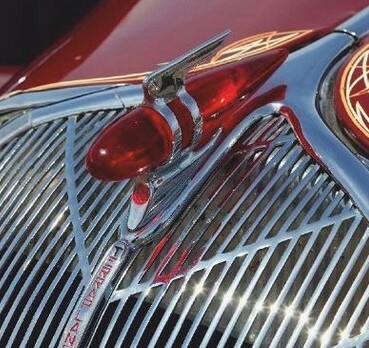 Each photo is an excellent close up of a hood ornament, ranging from a Chevrolet Bel Air to a Hudson Terraplane. The photos are simply stunning – it is no wonder people started collecting these ornaments. This calendar only covers the American cars.